This study says that chess players perform better in a match after they practice specific moves rather than general chess. 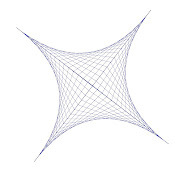 From my own experience, success on exams depends on having a deep understanding of the big picture and an ability to memorize a slate of essential algorithms. I'm wondering if there is a relationship with the chess research? The new trend, designed to improve education, is to tie teacher pay to student test scores. All data show that student success is tied to family education, primarily to the education level of the mother, and family resources. So, let's investigate why this is a bad idea through the lens of a story. A group of coaches were given a task to teach a group of kids a new stroke. Each group of kids will use the new stroke to swim a given distance on a fast moving river. Each coach will be competing against other coaches for their income level and even the ability to keep their job. Their pay, living, sustenance, will be based on how fast the kids in their group can do this feat. Coaches will face negative repercussions if any kid is left behind and is unable to complete the task. Some of the kids have a pool in their backyards. Others, come from families where no one knows how to swim. Some kids' mommies took them to baby swim classes while others' mommies are afraid of the water. Some kids vacation on the lake every summer but others kids have never been out of the city limits. Some of the kids come from families where athletics, exercise, and good nutrition are the norm. But, sadly other kids eat high fat diets and spend their days watching television. There are kids who have private swim coaches, to give them a leading edge in any kind of swim competition, (very important to the parents) and there are even a couple of kids whose families have the means to buy them those fancy hi-tech swim suits. Unfortunately for everyone, there are even a few kids who will sabotage all efforts by trying to dunk other kids or by even refusing to get in the water at all, and others who spend their time doing nothing but splashing the coach. Some groups of kids will swim against the current while others swim with it. The coaches have no power of which kids will be in their group. The person running this competition, let's call him the 'Principal' will be the person who decides how the kids are grouped and which coach they have. The Principal doesn't know much about swimming… just not his thing. One passionate coach has managed to get herself on his bad side and so, of course, she ends up with the group of kids who are the hardest to coach. This is great for the kids since she is an excellent coach. A sycophantic colleague who spends her time buttering-up the Principal, gets the highest performing group of kids. We will call them the 'honors' kids. The day of the competition arrives. The group of kids, with the sycophantic coach, wins the competition and as a result that coach gets a $10,000 bonus for that year. The low performing group of kids, with the great coach, does better than expected but of course didn't win. It actually came in last. Their coach loses her job. There are good teachers and bad teachers but you certainly can't tell which they are by the test scores of their students. 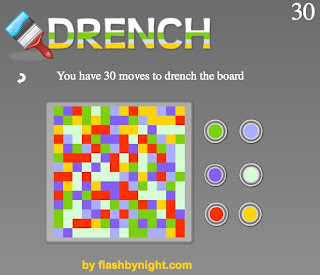 DRENCH by flashbynight - a fun, web-based, strategy game for your math students. Yet another great T.E.D. talk. Dan Pink talks about business models that have abandoned the 'Carrot and Stick' model for employee motivation. KQED's Forum also hosted Dan Pink on a discussion about using creativity, right brain, versus narrow thinking to be productive. I'm wondering how Dan Pink's ideas would work in the classroom??? When you make and share a snowflake, Get Flurrious reportedly sends $1 to UNICEF. 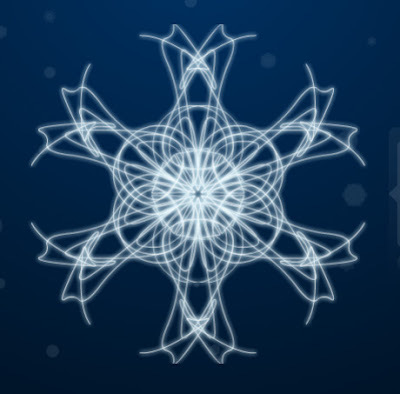 Making digital snowflakes is a fun activity involving the mathematical concept of symmetry.